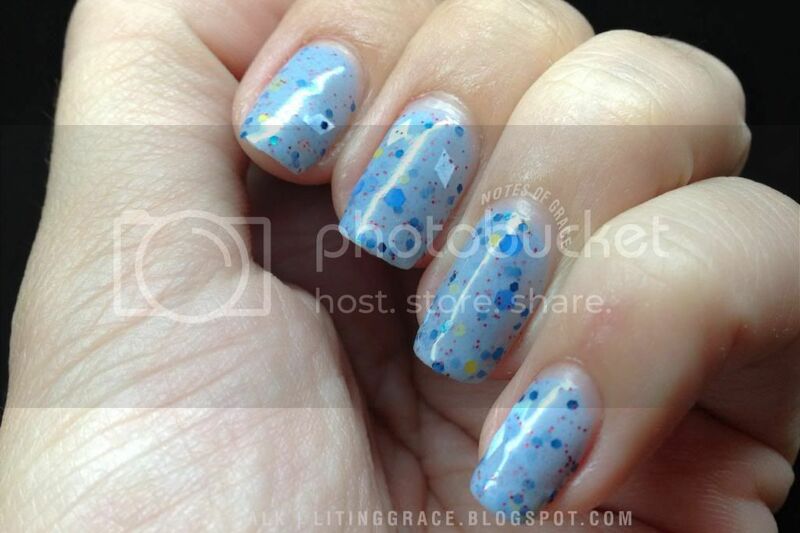 GRACE.CHARITY: Nails Talk: Pretty and Polished Mathematical!!! Nails Talk: Pretty and Polished Mathematical!!! It's one more day to the weekend and two more days to Chinese New Year. Hope everyone has completed your preparations for Chinese New Year. I'm more or less done, just a little more spring cleaning to be done and then I'm all set. The feasting's going to start tonight with the first round of reunion dinner. Chinese New Year is the only time when I will stuff myself silly with all the goodies, but after that I will have to work hard to shed off all the weight. But then, it's only once a while, so we should have fun and enjoy all the goodies. 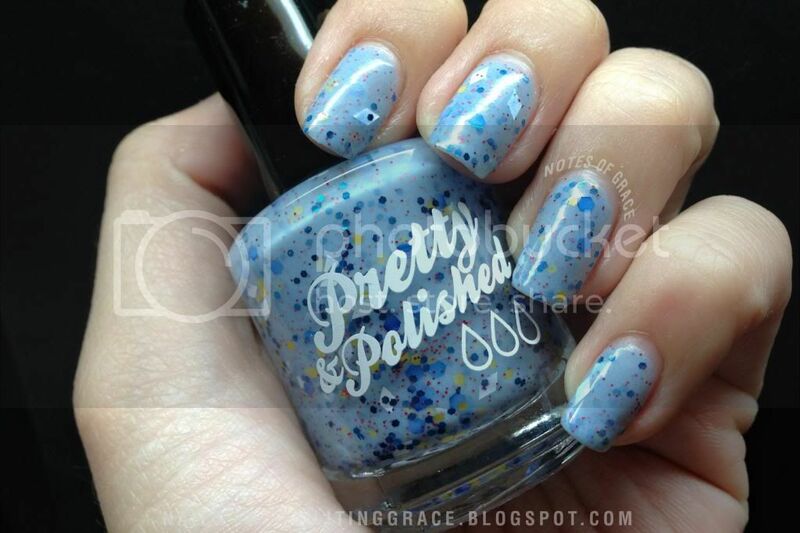 Pretty and Polished was created by Chels Marie and her husband Craig in 2011. Their polishes are all cruelty free, which means that they are not made with any ingredients containing animal products and comes with stainless steel beads to keep the polishes perfectly mixed. The polishes in the Mathematical!!! collection are all based on the characters from the cartoon Adventure Time. First up is my favorite of the lot, King of C-C-Cool based on the character, Ice King. Light blue base with a gorgeous combination of dark blue glitters, yellow hex, white diamond and micro red glitters, it's really hard not to fall in love with this. This is three coats with one coat of top coat. Next, I'm not a Banana which is based on the Jake the Dog. 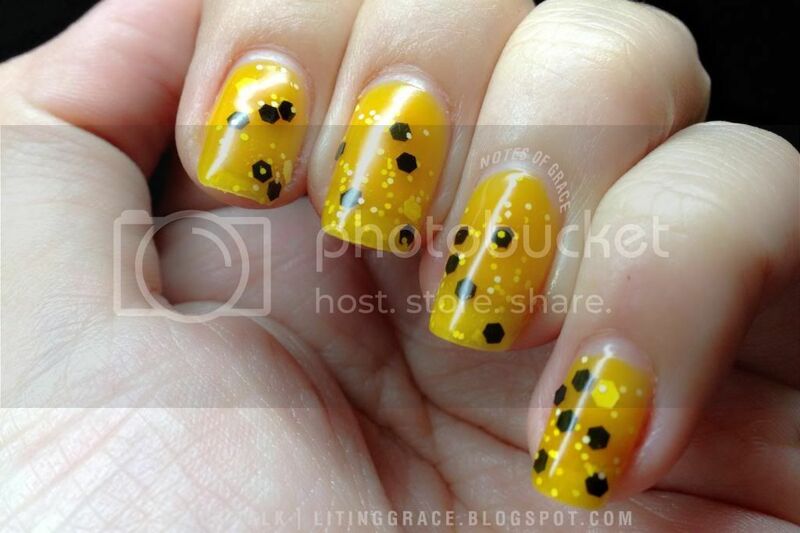 A yellow jelly with black and white glitters and it was also the sheerest of the lot. This is three coats with one coat of top coat. Somehow this reminds me more a yellow flesh watermelon. And last but not least, Peebles, named after Princess Bubblegum. 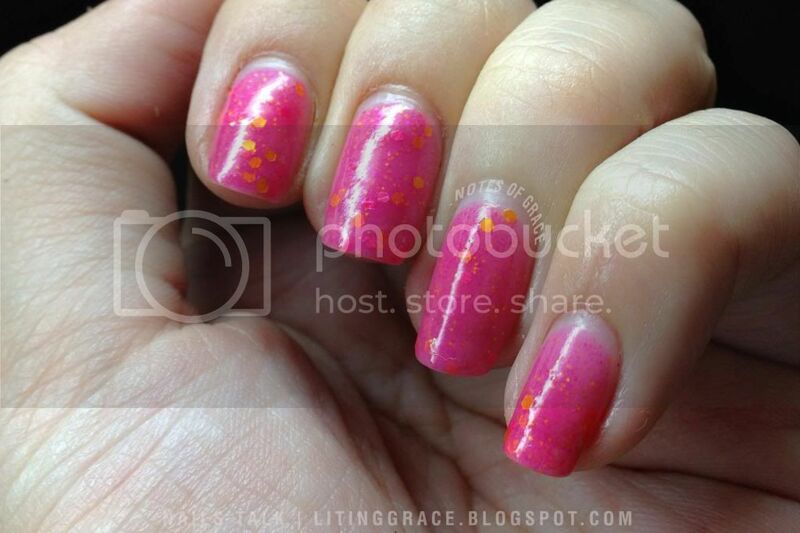 Peebles is a pink jelly filled with pink and gold hex glitter and accented with pink micro glitter. This is also 3 coats with one coat of top coat. Formula and application wise, I have no complaints at all. All three polishes were easy to work with despite the huge amount of glitters. I really LOVE these polishes especially King of C-C-Cool and I'm a not Banana. They are really unique and I'm happy to have them in my collection. 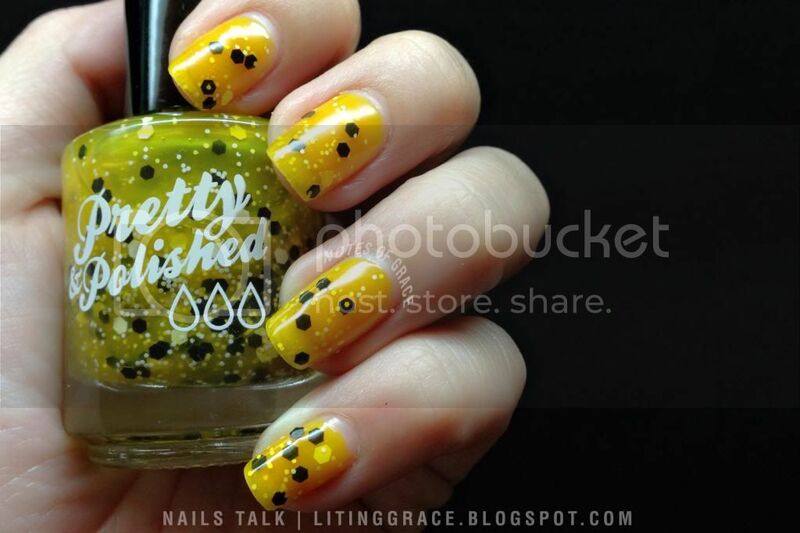 Pretty and Polished polishes can be purchased from their online store, www.shopprettyandpolished.com. Do also follow them on Facebook and Twitter for updates and previews of their new collections. That's all for today and I hope you guys had fun reading this. I'm rushing off for my reunion dinner but I will be back soon with more updates!